The top of my spiral quilt is finished, I’m still in love. I need to get a backing together, then I’m sending it out to a long-arm quilter, this is just too big for my little machine. 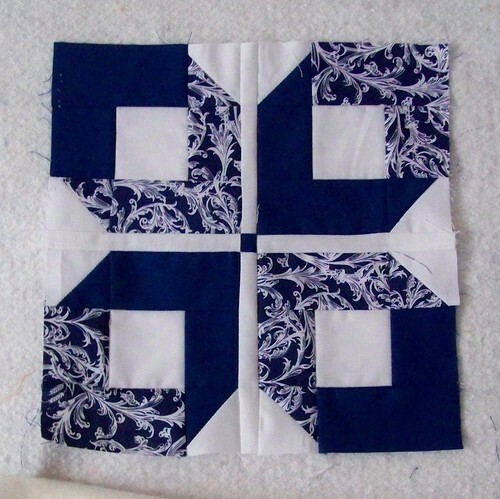 And, I’m working on a version of this quilt as a pattern – my first. 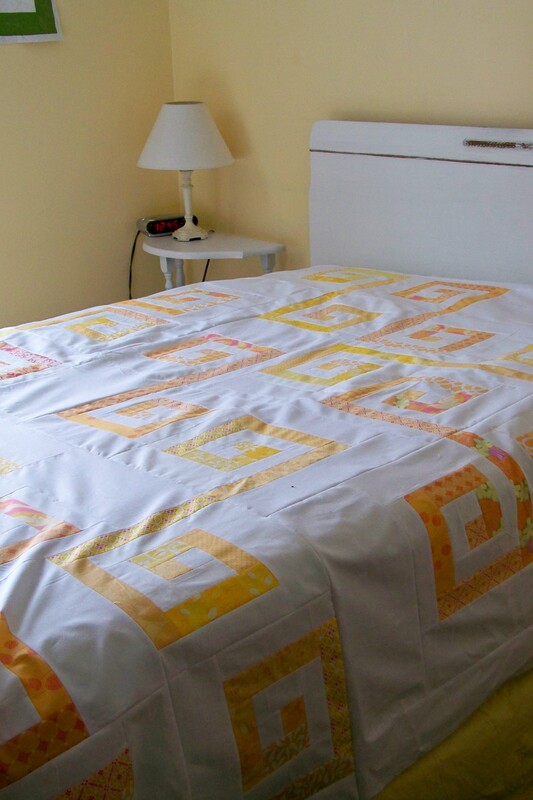 This quilt spent the better part of a month on the design wall waiting for a decision about the border color. I finally decided on a leaf green border, and a soft yellow for the background. 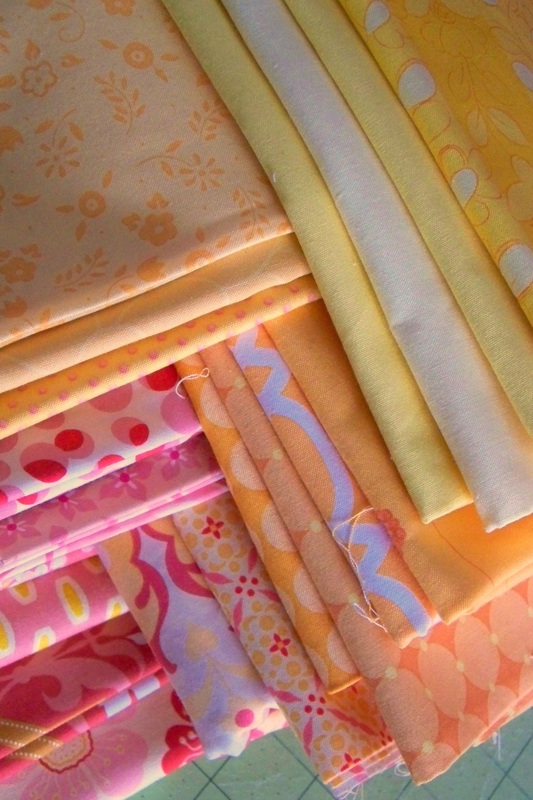 Both kona solids, to compliment the solids in the blocks. As you can see, it’s bordered, sandwiched, basted and well on it’s way to being finished. 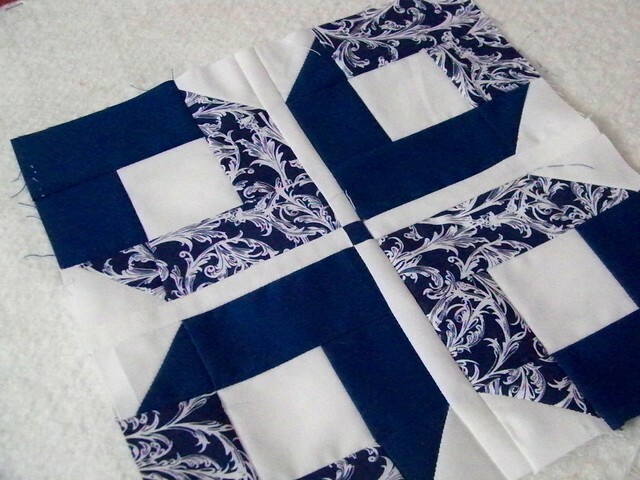 The quilting is bands of organic lines in the white sashing, and a square around each of the fussy-cuts. 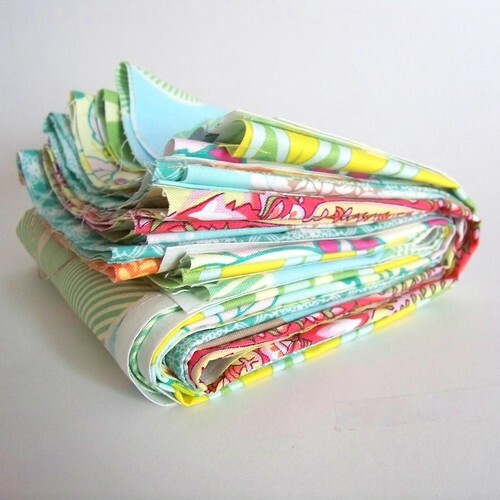 Finally getting back to some sewing – no particular plan though, just a block. I started this for a gift that I ended up taking in another direction, but decided to finish the block anyways (I’m trying to work through, instead of adding to, my WIP/UFO pile). A pillow? a mini? Not sure, but that’s what a 3 day weekend is for.